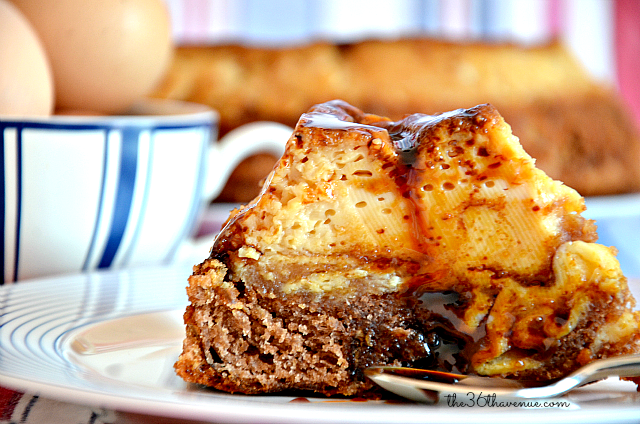 Have you ever had Choco Flan? This dessert tastes amazing and it has become one of our family favorite recipes! My sister made this dessert for us last time we visited the Canary Islands and it was delicious! 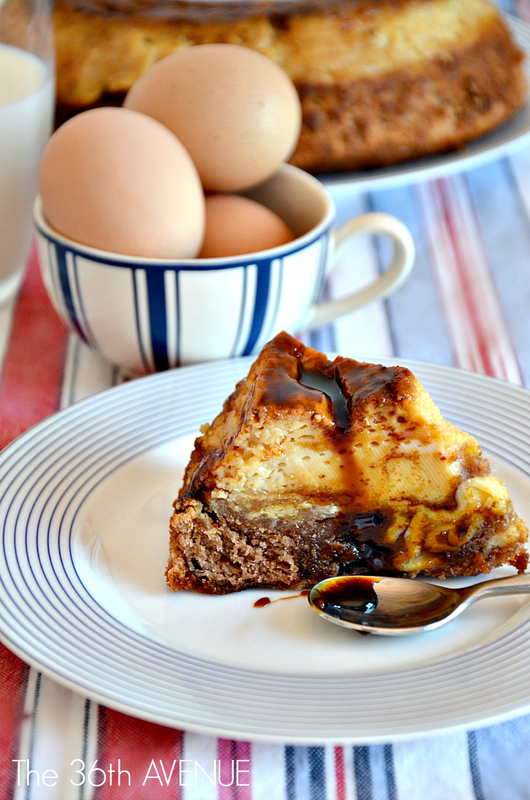 Let´s say that chocolate cake + flan = perfection. The best thing about this dessert is that it was super easy to make. I was actually surprised of how quick it was to put together. The first thing you need to make is the caramel. Put the two cups of sugar into a sauce pan with the water and slowly melt the sugar until it turns golden brown and becomes liquidy and uniform. While hot, spread on the inside of a Bundt pan. Careful, the caramel will be really hot. 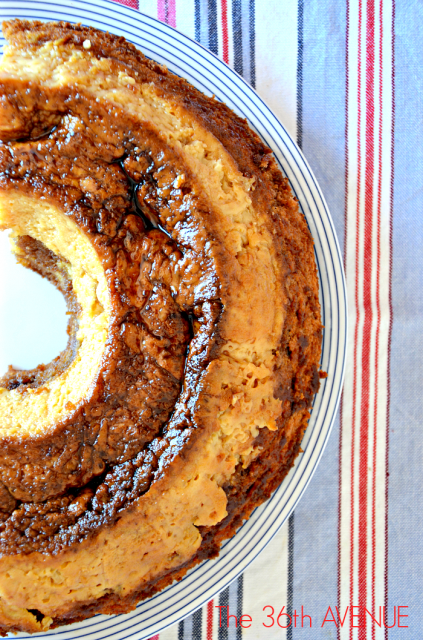 Using a hand-mixer in a medium bowl mix together all the flan ingredients and put aside. In another bowl mix all the cake ingredients and put it aside. First pour the cake mixture in the Bundt pan. Slowly add the flan mixture. The cake mixture will rise to the top as you add the flan. Bake for 25 minutes or until the cake on top is done. The caramel is optional you can spread butter inside of the pan instead so the flan and the cake don't stick. This recipe looks so amazing, I had to try it out. 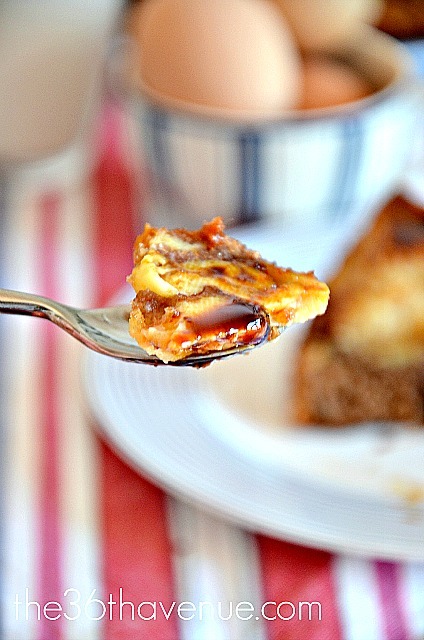 Could you give a little more direction on cooking the caramel? I just made it and think I overlooked it. It’s not caramel…it hardened into candy…should I start over? Lo preparé en mi casa para mi familia y fue todo un éxito ¡nos encantó! Can I just say that my mouth is watering just looking at this! 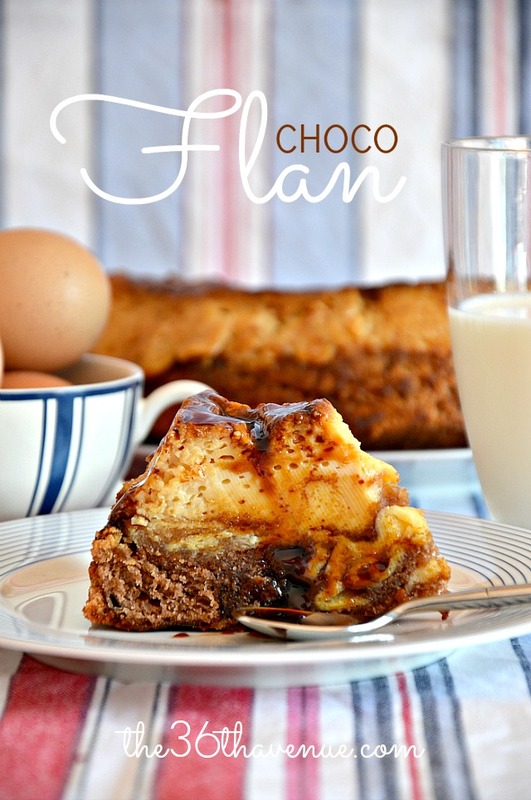 That is a big deal as I never really like flan at all but with the cake…I am making a list of ingredients needed right now! Andrea you are the best… Your comments make me happy! Many hugs my friend!